Discussion in 'Fishing Chatter = anything to do with fishing' started by Rich M, Apr 12, 2018. Buddy is bringing his 23 down the first week of may and wants to target mahi. What depth is best to start at? I like to let the Mahi take my bait for a bit before I set the hook making sure they had the time to swallow the bait so you can hook, when you set your hook enjoy the moment. Now that you know my secret method of catching Mahi Mahi without trolling you can go fishing for them by yourself or with another angler, without depending on others not showing up and not having enough anglers for trolling. Even when not actively feeding, game fish can usually be found near food. Areas holding bait are those most likely to be holding game fish. Bait, like game fish, hold in areas where they can find food. For bait, this means areas with a good supply of plankton. Factors that cause plankton blooms are described below. Sharp rises in the bottom, such as ledges and humps, can cause an upwelling of deeper water. This water is more nutrient rich than most surface water, allowing plankton to build up in these areas. Unlike other factors that attract bait and game fish, bottom contours are stationary. Good bottom structure consistently holds game fish because they do not have to hunt for it and they do not have to move to stay with it. Temperature breaks along the western edge of the Gulf Stream indicate where coastal water is pushing against Gulf Stream core water. In addition to being warmer, core water has a higher salinity level and lower nutrient content than coastal water. This difference prevents these two water masses from mixing easily. (It is also what makes green water green and blue water blue.) Because coastal water contains more nutrients, it also contains more plankton. Plankton floating in coastal water, stopped by the barrier between coastal and core water, is forced to build up along the edges where these two water masses meet. In addition to plankton build up, temperature breaks along the Gulf Stream also cause rips to form. Rips are strips of calm water that run along the top of a temperature break, usually surrounded on either side by rougher water. The calmer surface of rips causes floating debris to gather in them. Bait is attracted to floating debris and can usually be seen hanging just under patches of weeds or boards. Most species of surface feeding game fish are also attracted to floating debris. Dolphin are especially known for hanging under any floating debris they find. Whenever weed lines or other debris are found, lures should be trolled past them. Birds are the most effective tool for finding active areas from a distance. Birds will stay above of feeding game fish, picking off bait that is driven to the surface by these fish. Watch any flying birds in the area. If the birds circle to stay over one area, troll to that area. When game fish move or sound and resurface, birds will move with them, showing you where the fish are. Larger groups of birds pecking at the surface are usually hanging over schools of smaller fish. Small groups of birds hovering and diving are usually hanging over larger fish. Seven (6) to Ten (10) knots, depending on surface conditions and the fish your fishing for. Surface lures should occasionally skip out of the water. Rough conditions may require slower speeds to keep the lures in the water, but speed should not drop much below seven knots. Dropping lures farther back can keep them in the water on rough days. Smaller dolphin, called schoolies, travel in schools. Large dolphin, called bulls and cows, travel alone or in male/female pairs, though they can often be found near schools of smaller dolphin. All sizes are attracted to floating debris and will hang under it. Dolphin are surface feeders, and tend to spend most of their time at or near the surface. Dolphin can be found from points along the fathoms line east to well beyond the 100 fathom line. When water temperatures rise in midsummer schoolies can be found as further west. Dolphin can be found in water temperatures between 70F and 82F, but prefer 75F to 78F. Dolphin are often found hanging below floating debris such as boards and patches of grass. Watch for birds. Terns pecking at the surface, especially over floating debris, are often hanging over schoolies. One or two birds hovering and occasionally diving over an area are often hanging over larger fish. Larger dolphin begin moving up from the Florida Keys into Georgia's offshore waters from April and remain until mid June and July, being found in greatest numbers in May and June. Smaller dolphin (schoolies) can be found throughout most of the year. Troll at 6 to 8 knots. Pull dead ballyhoo rigged behind skirts or rubber and/or mylar lures, trimmed short to expose the back half of the bait, or pull rubber and/or mylar lures alone. Whole squid can also be an effective bait. Rig squid on a wire leader run through the body to keep it straight, with an egg sinker twisted into the leader at the tail and the hook at the head, tucked under the mantel to make it weed less. Lures and baits should run at or near the surface, and should splash and leave a good bubble trail. Use lures with flat or concave heads. Run one lure with a small bird splasher rigged in front of it. Best lure/shirt colors: yellow/blue/green, pink/purple/blue/black, white/blue..
After locating a school, throw pieces of cut squid or ballyhoo to them to get them near the boat, then pitch cut squid or ballyhoo to them on light tackle. Keeping one hooked fish in the water can help keep the school near the boat. Any larger dolphin in the area will come over to see what the schoolies are eating and will take a piece of cut bait just as readily as the schoolies. Tuna of all sizes travel in schools. Schools are made up of fish in the same size range. Smaller tuna are attracted to floating debris and sometimes hang under it. Tuna are surface feeders, but tend to spend most of their time well below the surface. Tuna are primarily night feeders. Tuna prefer smaller, easily digested baits. Tuna can be found from points along the 21 fathoms line east to well beyond the 100 fathom line. When water temperatures rise in midsummer smaller tuna can be found as further west. Yellowfin can be found in water with surface temperatures between 64F and 80F, but prefer 72F to 73F. Blackfin can be found in water with surface temperatures between 70F and 82F, but prefer 74F to 76F. Tuna prefer areas where bottom contours change significantly, such as ledges and humps. Smaller tuna and occasionally larger tuna can be found hanging below large patches of weeds. Watch for birds. Terns pecking at the surface, especially over floating debris, are often hanging over small tuna. One or two birds hovering and occasionally diving over an area are often hanging over larger fish. Tuna tend to move as they feed, so birds will be moving rather than hanging over an area. Yellowfin can be found in Florida blue water areas from April through July. Blackfin can be found in Florida blue water areas from September through April. Because they feed mostly at night, early morning and late evening are the best times to find them. Blackfin Troll at around 7 to 10 knots. Keep lures and baits well behind the boat, 300 to 600 feet. Keep ahead of visible schools. Determine which direction they are moving, run past them, then turn the boat so that the spread passes in front of the school. Pull dead ballyhoo rigged behind skirts or rubber and/or mylar lures, trimmed short to expose the back half of the bait, or pull rubber and/or mylar lures alone. Cedar plugs are also effective. Lures and baits should run at or near the surface, and should splash and leave a good bubble trail. Use lures with flat or concave heads. Best lure/shirt colors: yellow/blue/green, pink/purple/blue/black, red/black, purple/black. Traveling under the surface: Moving schools will make the water look as if a breeze is blowing over it - ruffled in calm seas, a patch of flat, dimpled water in white capping seas. Get well ahead of them and drop trolled lures/baits well back. Consider shutting off the engine and chumming to draw the school to the boat, then chunk baits or jigs. Use a fast retrieve. Feeding on the surface: Troll the perimeter of the feeding school and any visible bait schools. Use lures that are the same size as the schooling baits. Rocketing: When tuna rocket out of the water while feeding they will be moving fast. Troll the perimeter of the school at a fast speed, making lures skip out of the water, and keep a close eye on the school's movement. Wahoo travel alone or in small groups. Wahoo feed and travel below the surface, from a few to several feet down and using downriggers down deep. Wahoo are found in water from 150 feet to 300 feet deep. They are found most often directly over ledges. Wahoo can be found in Florida blue water areas year round. Troll at 6.5 to 9 knots. Pull dead ballyhoo rigged behind skirts or rubber and/or mylar lures, trimmed short to expose the back half of the bait, or pull rubber Wahoo buster and/or mylar lures alone. Long, thin hard lures such as Rapalas can also be productive. Lures and baits should run below the surface. Use downriggers or large trolling weights to get lures and baits down. Best lure/shirt colors: red/black, purple/black. Wahoo are known for making a very fast initial run away from the boat that can strip 100 yards or more of line, so use tackle that can handle pressure and hold a lot of line. You may want to set the drag lighter than the usual one-third of line strength. After the initial run, Wahoo sometimes turn and run at the boat. Be ready to reel fast to keep the line tight. Some anglers will put the rod tip in the water to help keep pressure on the line. If you are driving the boat, be ready to speed up to keep ahead of the fish. The location of game fish is affected by two things: Comfort, and the availability of food. Water temperature can be the determining factor for both. Each species of offshore game fish has a water temperature range they prefer, and a wider range outside of which they will seldom be found. The following is a list of these temperatures for game fish species found off of the southeastern US coast. Rips - Finding Sea Surface "Structures"
Rips are visible disturbances on the water's surface that appear as long, narrow bands of calm water bracketed on either side by rough water. Rips form at or near temperature boundaries. These boundaries are called soft edges when the change across them is only 1/2°F to 1°F, and hard edges when the change is 2°F to 4°F or more. The rough water at hard edge rips is more pronounced than that at soft edges. How Can Finding Rips Help Your Fishing? Plankton gathers along temperature boundaries, setting up a food chain that draws bait to the area. NOTE: Plankton tends to concentrate on the cool side of a rip. This is because coastal water has a higher nutrient content and lower salinity level than Gulf Stream core water. The higher nutrient content in coastal water provides plankton with a food source, and the higher salinity level in Gulf Stream water makes this water denser than coastal water, in effect creating a barrier that the floating plankton cannot cross. Because plankton (and the nutrients on which it feeds) clouds the water, sight oriented hunters like marlin and tuna will tend to stay on the warm side of rips. Floating weeds and debris will collect in the calm area of rips. Floating debris attracts bait, which attract game fish. The shade from floating debris also attracts some game fish, especially dolphin. Temperature boundaries, especially hard edges, can act as a "wall" when the temperature on one side falls within a game fish's comfort range and that on the other side does not. Game fish will tend to move along the these edges when they encounter them instead of crossing them. The most productive rips are those over good bottom structure. These should be explored first. When you encounter rips along the edge of the Gulf Stream or one of its edge features (see below), it is often most productive to continue running perpendicular to those first rips, watching subsequent rips for better formed weed lines and/or signs of actively feeding fish, such as feeding birds. Concentrate on rips containing floating debris and/or bait. If there have been reports of weed lines in an area, remember that things are moving out there. The western edge of the Gulf Stream has its fastest current, which is north at between 2 and 4 knots. Weed lines that are not holding bait seldom hold gamefish. Always pull up to a weed line and check for bait before beginning to fish it. Lures should be trolled along the edge of rips. Because the Gulf Stream flows north, and fish tend to swim with the current, trolling from south to north along rips gives lures a more natural presentation when that rip is along the edge of the Gulf Stream. Rips along the western edges of fingers or warm eddies, however, should be trolled from north to south because the currents in these features move in a circular counterclockwise direction. Fingers are pockets of warm water that move west from the edge of the Gulf Stream. Fingers are connected to the Gulf Stream at their northern end. This connection continuously feeds warm water into fingers. Fingers move north with the Gulf Stream. The rate at which a finger moves depends on the size of the finger and how far it is from the edge of the Stream, but is roughly ½ degree latitude in 24 hours. The currents in fingers move counterclockwise around the edge of the finger, which means the current at the western edge of a finger is moving south. Backflows are fingers that have gotten “stuck” and have stopped moving north. This happens at points where they Stream is diverted to the east, like at the Charleston Bump. Backflows can stay in place for several days, and sometimes grow, stretching farther to the south. The currents in backflows move counterclockwise around the edge of the backflow, which means the current at the western edge of a backflow is moving south. Warm eddies are pockets of warm water surrounded by colder water. Warm eddies form when a portion of a finger becomes separated from the Gulf Stream. Warm eddies tend to be rounded, and the warm water in them circulates counterclockwise at 1 to 2 knots. Warm eddies are deepest and warmest at their edges. Cold eddies are pockets of cold water surrounded by warmer water. Cold eddies are deepest and coldest at their centers. How Can Finding Fingers and Eddies Help Your Fishing? Fingers, backflows and warm eddies bring warm water west of the Gulf Stream, sometimes west of the 30 fathom contour. This is especially significant in the spring and fall, when water temperatures west of the Gulf Stream are relatively low. Game fish and bait that have been following the western edge of the Gulf Stream can often be found in fingers, backflows and warm eddies, having moved west with the warm water, avoiding the colder water that gets pulled up between fingers and the Gulf Stream. Rips usually form along the edges of fingers, backflows and eddies. Areas with good bottom structure will tend to be most productive when warmer water is moving through them. Areas covered by cold eddies should be avoided. How Should Fingers and Eddies Be Fished? The western edge of fingers, backflows and warm eddies tend to hold productive rips. Start near the northwestern edge of a finger, backflow or warm eddy and search for these rips by moving toward the center of the feature. When a promising rip is found, mark its location and continue toward the feature’s center. Once you have identified the best rip, return to its location and begin fishing. Troll along the rip toward the south, following the counterclockwise current inside the feature. This is a more natural presentation, since baitfish tend to move with currents. It will also move your toward the tip of a finger or backflow, which may prove to be a productive area. If the rips along the edge do not prove productive, try moving into the center of the feature. As mentioned above, troll with the internal currents, moving south when west of the center, north when east of the center. Each species of offshore game fish has a water temperature range they prefer, and a wider range outside of which they will seldom be found. The following is a list of these temperatures for species in the Georgia coastal area. Green water fishing off the Georgia coast means fishing in significantly shallower water than blue water fishing. Bottom structure like live bottom, ledges, rock piles or other man-made "reefs" tend to hold bait schools in this shallower water, when water temperatures over these areas are right. The "right" water temperature for these areas is relative and varies throughout the season. In general, a good temperature for bait and game fish over near shore bottom structure is a degree or two cooler than the immediate coastal water (which can be a warm as the gulf stream's core from May through September), but is a degree or two warmer than the coldest water that usually sits between the coast and the edge of the gulf stream. Watch out for pockets of colder water that move across bottom structure. These can push bait and game fish off of the structure. As I said before, Mahi-Mahi are aggressive eaters. They eat all night during a full moon. Higher light conditions at night, such as during a full moon, will allow Mahi Mahi to see and eat baitfish all night long. Because the moon lights up the sky allowing Mahi Mahi to see that baitfish on the surface and under the weed line. So during the day the Mahi Mahi will not be feeding in the middle of the day time. Tele Caster, Bossman, Nocatfish and 3 others like this. You need to find something floating. Preferably Weeds or some other larger structure. Also the mahi can be sitting under a floating Log or tree. NOTE: just because you see a weed line, / Algae bloom, it does not mean that it is holding bait fish, (it could be dead) to determine if it is alive or dead, just drift on the edge of it... and if you do not see large schools of bait fish it is dead... if you see large schools of bait fish than it is alive and you should have a good chance of catching some nice fish while trolling... or dropping down some live bait fish about 10 - 30ft down. Tons of info - thanks, Capt. Some of my best fishing has been by accident - wish there were more weedlines. Very interesting read, personally never been dolphin fishing but the day will come. Wow, excellent info. Sam's right about weedlines. Many times weedlines do not hold bait. If you find the weedline you are fishing/trolling is not holding bait, you are wasting you're time...look elsewhere. As always, bait=fish. Find the bait, find the fish. Very good information. That is helpful, and it has taken that guy prolly 20 plus years to acquire that information that he gave us freely shared with this club. Very cool and very helpful. Flip side of the coin is that it doesn't cost 400 bucks in gas to catch dolphin. And experienced fisherman are nice to have for the journey; seasoned veteran fishing are NOT required for dolphin fishing. I have 30 years personally in this craft. Both coasts. Pacific ocean tuna, atlantic ocean everything and alaska salmon. Blue water fishing is probably the easiest of all the fishing tactics out there. 1. turn key on boat motor 2. look for stuff . That is dolphin fishing. Try pulling a 29 lbs tripletail off a buoy chain. . . . or get a flounder to bite a finger mullet in sebastian inlet moving at 5 miles an hour without snagging one of 891 rocks on the bottom. These types of fishing are for the skilled veteran angler. Dolphin fishing = anyone can do it. I am sharing this point of view because I have been seeing a lot of intimidation in the couple dolphin posts recently about the intense skill and experience required to catch dolphin. I could not disagree more. I think dolphin fishing is a great time to get the new guys out. Have them chip in 40 bucks or so in gas. And EVERYONE contributes equally on the fishing and ON THE HARVEST OF FILLETS. Equally. Dont let anyone try and scare you off of this fishery. keep up the good work. If the seas are pleasant 1-2 ft or 2-3 ft .. . . 5 - 10 knots wind . . . if you have a 21 foot vessel or longer, a working radio and gps and a reliable boat motor and all your safety gear. . . .. . . FISH FOR DOLPHIN!!! First off, going out 45 - 68 mile costs in fuel, bait, ice will cost ya.... (not to mention operation time maintenance) the cost of gear, rigs etc... There could be more than $200 in lure / skirt costs just to run a seven spread. who wants to lose them all because someone did not know what to do when all busts loose? I've been out where all seven went off at once, and all brought in to the boat, and gaffed under power... and I've been on the boat where two were on the line and lost due to not knowing who brings in their fish first, and who lets their fish take it long. 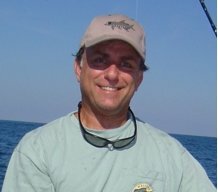 Now when you have on multiple fish (while trolling) everyone needs to know (exactly) where their fish is and what to do in sequence and harmony or you will not land any or only one maybe two.. (so there is a place for Googins and experienced anglers) depends on what you are tying to accomplish. since it is a team effort the lost gear adds costs of the trip and should also be split to make it fair for all. why should the boat owner get stuck with bearing all the expenses? I know how much work it is with a crew, and I know it take triple the work to do it all yourself... That's why they have charters. Looking forward to reading a report from you. I've also been to many Tournament weigh-ins and seen pro teams come in last and a newbie will with the largest fish... in fishing anything can happen! Thank you. This is a great post. Interesting. And lotta sense your making. I have never had to go past 40 miles to catch a dolphin. Ever. Now I am going out of port canaveral. Not sure where your home port is. 68 miles out that is impressive and us fishin folks would call that "the other side" trip. You never mentioned going to "the other side" in your initial post. If that is the case then sure, gas bills will escalate fast, and expenses will escalate. Got it. As far as calling skirts and rigs as disposable gear, I am not grasping you. You mention that in one of your cost assessments. I use Stubby Bubbler by Islander and I have the same skirts I have bought 15 years ago. Sometimes the plastic cracks on a large phin on the nose and I sand down the crack with sand paper, and re-drill the bubble producing holes in the cork end. But we dont lose skirts. Rarely do we lose skirts, if ever..... Not sure how you are losing so many skirts. /headscratch. Typically out of port canaveral we run 20 to 30 miles here (gulf stream west wall is 29-31 miles out year round). Most dolphin are caught in 120 - 180 ft. of water. (this is 20-25 miles offshore p.c.) Most seasons. A guy I fish with regularly for example I buy a couple doz ballyhoo the day before (no brining involved) defrost them, rig them on my porch. And the next day I will buy two 40 lbs bags of ice. We go out and catch phins. Sometimes 20 lbs sometimes 140 lbs. He pays for gas. I supply bait and ice. We split all fish 50/50. I did not get into this craft to make other peoples boat payments for them. Furthermore guys south of Ft. Pierce and Palm Beach and south are catching dolphin out of jet skis and john boats (actual googans) (fact) youtube.com. So googans can catch dolphin. Thanks for sharing. Appreciate the information. Not sure how you are losing so many skirts. /headscratch. Not sure where your home port is. 68 miles out that is impressive and us fishin folks would call that "the other side" trip. out of ponce inlet, the average trip with trilling is a lot of miles traveled. the Roll-down itself is NE of Ponce start fishing in 200-250ft and continue to troll east and the bottom starts to roll down to 2,000ft in a few miles. Not a direct drop like the Bahamas but you can see it "roll down" on your bottom machine. Sometimes 20 lbs sometimes 140 lbs. I buy a couple doz ballyhoo the day before (no brining involved) defrost them, rig them on my porch. And the next day I will buy two 40 lbs bags of ice. and that's what most do, my vessel hold 450 lbs of ice on every trip. We split all fish 50/50. Yup that's how we roll. some boats cost more than a house does, and thousands a year to maintain. trolling costs far more than bottom fishing any day of the week. I never fully understand how an eddy worked before. when you come across them, you would know what I am talking about, fishing frenzy. Maybe its me, but it comes off like your scaring some people out of trying this fishery that are capable fisherfolks and have capable vessels. My humble opinion, and I am the new guy so maybe I shouldnt have a opinion yet, is that it is disenfranchising people. Its like they have to be at some type of level to capture dolphin. so I was providing informative information on what to look for and how to troll for them. On our clubs forun, all we do is provide valuable information so one could to set out to archive ones goals. as some put what they learn into action, some do not, which are expressed in there fishing adventure fishing reports. Amen. hope this clarifies things. Thanks for your input. Good thread. I am NOT an experienced offshore angler, at least I realize my limitations. Have caught a couple mahi by accident (they just happened to take my bait fish) so know its possible, but like inshore fishing I would think that there are specific skills involved in targeting a specific species since I do have some skills in doing that inshore and realize that having the knowlege in targeting them makes me a bit more productive catching them than someone without those skills. Saltster and Nautical Gator like this. You shared a lot of impressive knowledge and I learned some things from your information as well. I never fully understand how an eddy worked before. Not that it would have changed my fish count that much but it is something I will pay attention more closely to in the future. if I'm reading this right, your on a friends boat, your friend puts you on fish, he pay for everything, you just provide some bait and ice, you split the catch 50/50, man you got it made LOL. oh and rigging ballyhoo does not take any skill, (no brining involved) you don't prep your ballyhoo, and any moron can easily find and catch Dolphin, you caught some between 20 and 140 lbs., when the state record is 81 lbs., (were you on the news) with your over the record 140 lb. Dolphin? all this on a 15 year old Stubby Bubbler by Islander with the same skirts that you bought 15 years ago. it has some plastic cracks and you sand down the cracks with sand paper, and re-drill the bubble producing holes in the cork end. You don’t lose any skirts ever... and you caught a Dolphin over the state record. seems like this is a new state record to me LOL) your 42 years old and you have 30 years Dolphin experience. did Islander contact you about promoting their lure that broke the state record LOL this all seems like a fisherman's tale to me LOL, have any others. just wondering what information you provided that is helpful, besides QUOTE: 1) you turn the key on your boat motor. 2 ) you look for stuff. That is dolphin fishing. I'd bet there are a lot of charter captain's that would like to hire you. We go out and catch phins. Sometimes 20 lbs sometimes 140 lbs. He pays for gas. I supply bait and ice. We split all fish 50/50. I think what Livinthedream means is that he catches between 20 and 140lbs of Dolphin. Nobody catches a 140lb Dolphin unless his name is Flipper...lol. Sometimes, it's difficult to discuss fishing. We can make it as much or as little as we want. I also did not see the post as implying they catch 140# mahi. Saltster is being crabby today. If I can rig ballyhoo - anyone can. Can even rig em with or without a pin! LOL! Most folks seem to "just go" and troll for mahi, they also catch some fish - these are your recreational anglers. They enjoy going out, dragging bait and catching a few fish here and there. It isn't a way of life, it is something fun to do. The scientific captains are the ones who bring fish home when no-one else does. That's what the little details do - they provide bigger and more fish - more often. It also costs more to go where the fish are - not everyone has that kind of boat. Blue water fishing is probably the easiest of all the fishing tactics out there. 1. turn key on boat motor 2. look for stuff . That is dolphin fishing. Try pulling a 29 lbs tripletail off a buoy chain. . .
seems to me he is saying that "Blue water fishing is probably the easiest of all the fishing tactics out there. 1. turn key on boat motor 2. look for stuff" and that it takes more skill to drop a line to the bottom and catch a tripletail.... Yet he has not posted any fishing reports at all. I think that there are many charter captains and professional anglers that would disagree with that... Many anglers know that you can drag lines all day and not catch a Dolphin, but bottom fishing will always produce fish! This thread started by a member asking for some help, and as always we provide helpful information... not just turn the key and look for stuff!!! i edited my reply a good while before you copied it from your message alerts and wrote back a reply. i see that this topic is veering into each person defending themselves and their tactics, and i they catch more fish than anyone they know etc. etc. thanks very much for all your information its appreciated.